The first book chosen, Into the Vietnamese Kitchen, was aligned with one of my New Year’s Resolutions (learn 10 Vietnamese dishes). I’ve already done a few of the easier recipes from this book so I was forced a little out of my comfort zone. I chose to do Canh Chua (directly translates to “Soup Sour”). 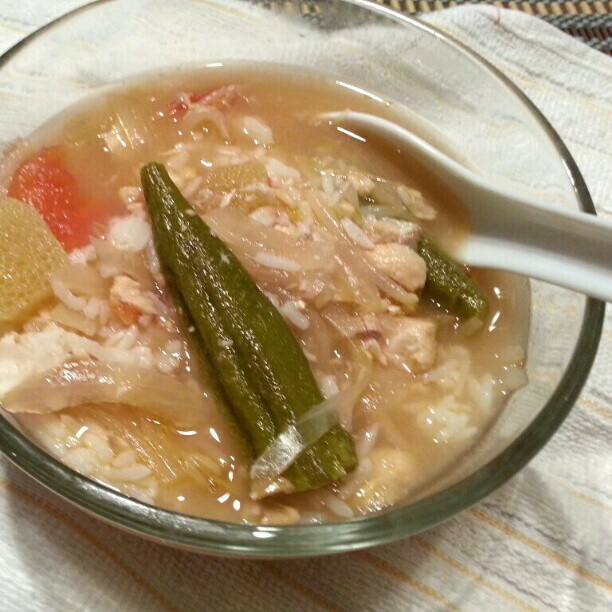 Traditionally it is a sweet and sour soup made with tamarind, tomatoes, bean sprouts, taro stems, okra, and either fish or shrimp. I made two modifications to the recipe from the cookbook. Andrea Nguyen noted that typically the soup has taro stems but because they are flavorless, she omits them. She also instructed to season the soup with cumin. I added the taro stems to be more like the soup I grew up on and omitted the cumin. Cumin is a flavor I have never associated with Canh Chua. I called my mom to get her advice and she too supported my decision to omit cumin. 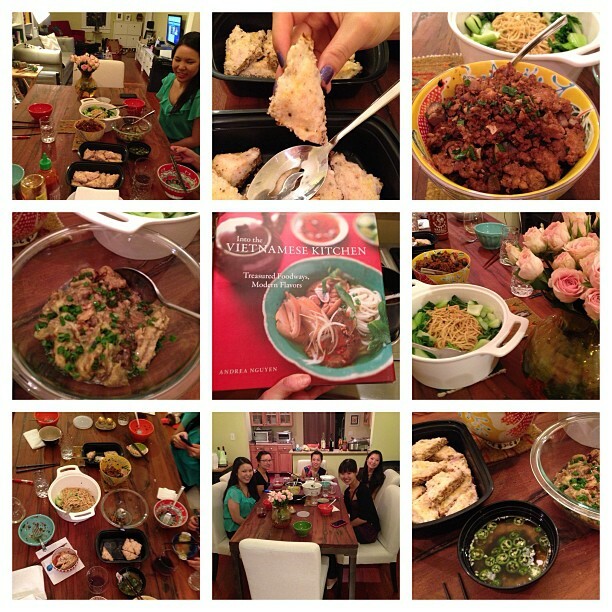 I’ve been intimidated by this Canh Chua endeavor for a couple of years now and am happy to report I was just being silly. The hardest part about this recipe was finding tamarind at the Asian store.